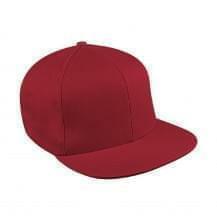 Are you looking to get custom flat brim hats & caps at wholesale prices? Unionwear is a one-stop shop for all your USA-made custom gear requirements. We stock the most popular styles, with wide-ranging designs and patterns. Are you looking for a cost-effective way to promote your business on a large scale? Why not hand out some free custom flat brim hats & caps to your existing customers as well as the potential ones. Imagine people wearing your company’s logo and showcasing it wherever they go. At Unionwear, we specialize in custom flat brim hats & caps that are 100% Union Made in USA. Send us your logo design or any message that you want embroidered or printed. As a union shop, we make sure our employees are treated well, and it reflects on the quality of work that we perform.